The oil powered technology propels colorants deep into the hair, without ammonia, giving you pure, vivid, long-lasting color. Olia visibly improves and restores hair as the oils help to reverse roughness and dullness for more brilliant, long-lasting color. Hair is hydated, silky, and up to 3x shinier than unwashed, uncolored hair. 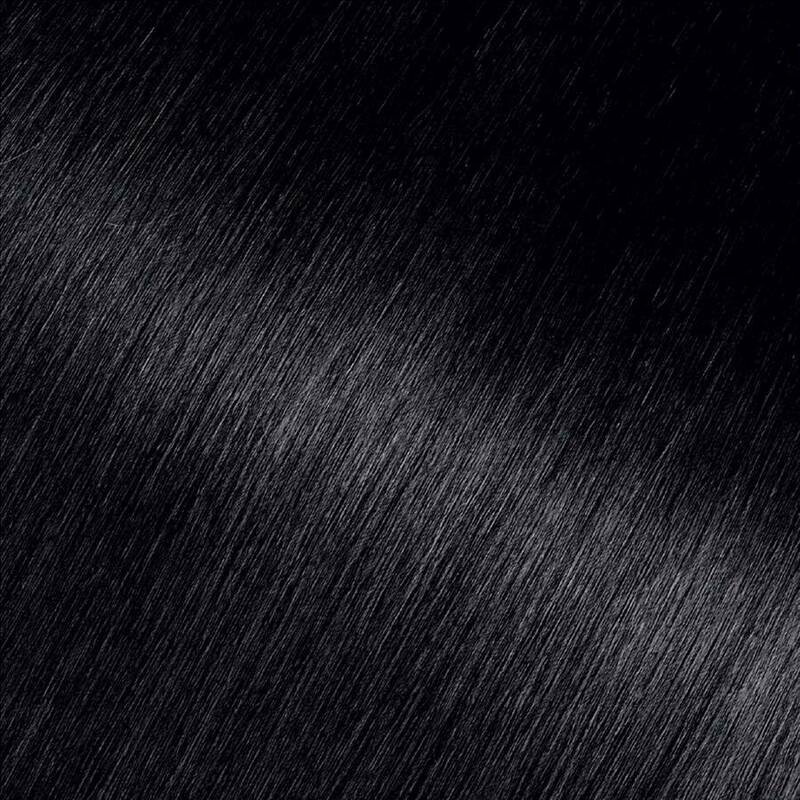 Garnier Olia shade 2.11, “Platinum Black,” is part of our Dark Platinum Collection. What makes a Dark Platinum different? It was specially formulated with a unique combination of strong, ashy reflects for an intensely cool shade with a platinum, metallic-like shine. It is one shade lighter than Olia 1.0 with cool tones. It provides 100% gray coverage and is best for anyone with natural hair between medium brown and black. *For women with currently color treated hair, there are special considerations for the color result you can achieve. For more help, use our Shade Selector Tool to find the perfect shade for you! 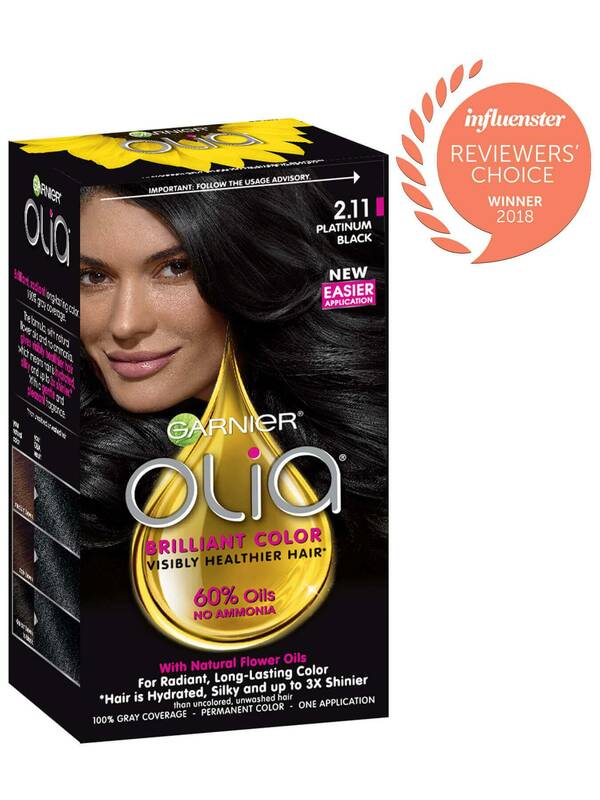 Rated 1 out of 5 by StellaJ from Surprisingly disappointed To be honest, I insist on using Olia everytime I dye my hair because I am sensitive to smell rather than for anything else. I've used it perhaps three, four times now to dye my asian black hair to brown. It always left me a little brassy but I never felt that it wasn't worth the money. This time though, I tried to dye my already dyed brown hair back to black. Surprisingly, i was extremely disappointed to see that it did not work as I hoped it would. I have dyed my hair from brown to black before so I doubt my hair is to blame. It took perhaps 40 mins of running water to get the dye out of my hair and the result is horrendous. I have several shades, ranging from my original brown to soft black all over my hair. I had someone experienced dye it for me, so I have to say this dye is at fault. I have a wedding to attend. I'll probably try to dye it again with a different brand. Rated 3 out of 5 by Cantgetenough from Can’t get enough I have used this product in the past when my hair was nearly down past my “lady defining” chest pieces, I used two containers and had great coverage! I recently decided to go back to black and thought I’d use this product again. Since my hair is considerably shorter now (just above my shoulders) I figured one box should do, I was wrong! Not nearly enough for full coverage! What the heck?! How’s a girl supposed to feel good about her hair when there isn’t enough product in the box. Rated 5 out of 5 by Riri2222 from Best hair colour My hair was platinum blonde. I died it professionally black a few months ago but it faded into a really light brown. 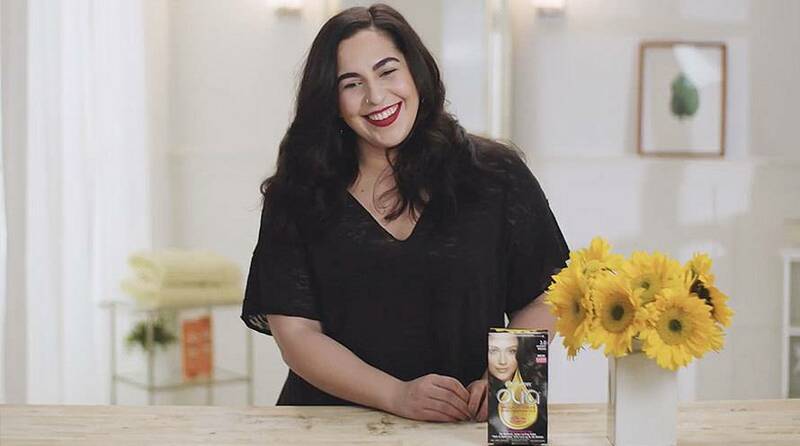 I decided to dye my hair myself with the platinum black from garnier. This hair colour was perfect. Gave me such a nice black colour with a hint of navy. It’s so so pretty. My hair has been so dead from bleaching it in the past. But when I applied this colour, my hair looks shiny and healthier than ever. I can’t believe I spent so much money in hair salons trying to get it to this stage. I also dyed my hair extensions with this and it did not damage them at all. Great product! Rated 5 out of 5 by Snflwr from Great color I use the indigo blue black. It’s beautiful, what a shine. It looks so healthy. Even my hair dresser loves the look. For I do itmy self. Rated 5 out of 5 by Laurana from Best hair color ever platinum black 2.11 I had curly hair and this hair color used to make my hair so nice and shiny. I recently had my hair permanently straightened and I color my hair a month after the hair straighteners and it came out so beautiful and shiny with out damaging my hair. Love it better than salon hair color. Rated 1 out of 5 by Alyssa R from FADES OUT Worst hair dye I've ever tried. It was very nourishing but the actual color lasted for a couple days and washed out. Definitely do not recommend. Rated 5 out of 5 by Lovethisproduct2017 from Unbelieveable Product All Around!!! I did my reasearch for weeks, checking online reviews and talking to friends and family. I have long, thick hair that is very dry. I used this product and was AMAZED!!!!!!! My hair took the black color (im a brunette) so well! Its so so shiny and super soft!!!! This product is amazing and I will continue to use each and every time!!! !